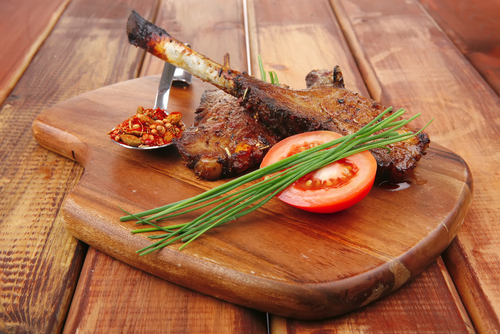 Buy lamb chops online in a mint marinate they are fantastic on and off the barbecue; cut from free range salt-marsh lamb, aged for 7 days, they are very tender. We like to cut all our lamb chops the traditional way and not wafer thin like the supermarkets; so they will be approximately and inch thick. TOP TIP: Served with a nice potato salad, red cabbage and a gem lettuce drizzled with olive oil & sea salt and your guests will be impressed.